Thanks to approaches such as continuous integration and continuous delivery, companies that once introduced new products every six months are now shipping software several times daily. Reaching the market quickly is vital today, but rapid updates are impractical unless they provide genuine customer value. 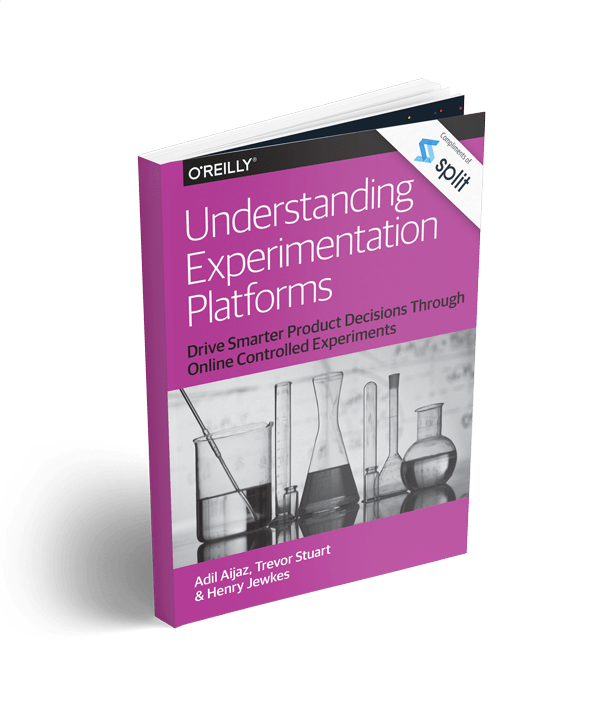 With this eBook, you’ll learn how online controlled experiments can help you gain customer feedback quickly so you can maintain a speedy release cycle. Using examples from Google, LinkedIn, and other organizations, Adil Aijaz, Trevor Stuart, and Henry Jewkes from Split Software explain basic concepts and show you how to build a scalable experimentation platform for conducting full-stack, comprehensive, and continuous tests. Along the way, you’ll learn practical tips on best practices and common pitfalls you’re likely to face along the way. This eBook is ideal for engineers, data scientists, and product managers.